Day With A Local Ltd (Finnish company registration number / Business ID 2803477-1) owns the rights to the Day With A Local trademark and brand. When placing an order, you accept the following terms & conditions. 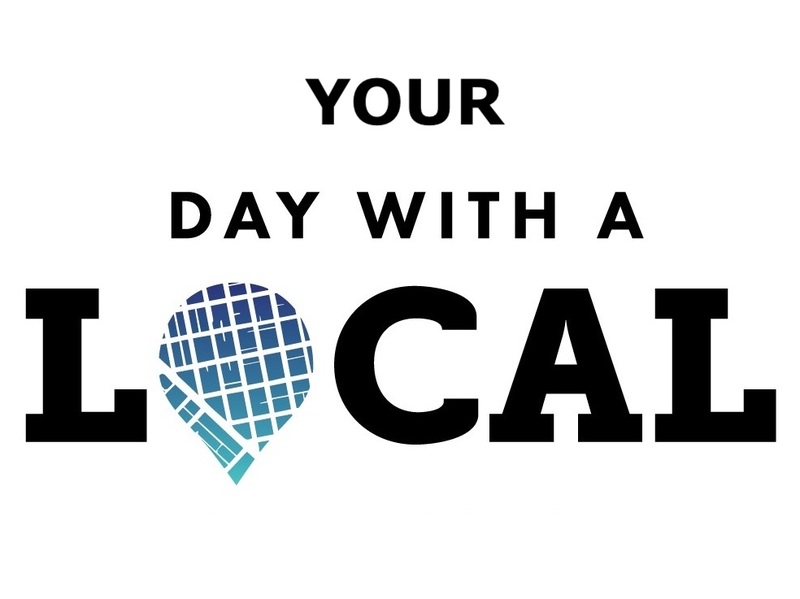 We produce our Day With A Local services with professional pride and passion as locals. Please notice that this is not a traditional authorized guide service. Our team members are program service workers from different backgrounds. We provide our services as locals giving you a local’s point of view to the city. Your ‘tour guide’ is thus referred to as a Local. Please notice that our services often include walking distances from roughly 1.5 to 7 km (about 1 to 4 miles) per day. Therefore, when booking your Day With A Local you confirm that all participants are in a good physical condition, so as to be able to participate in the program. In any other case you will inform us about your situation when placing the order, so that special arrangements can be made. The route may, for instance, contain stairs, which is also the reason why unfortunately all of the routes aren’t always accessible by wheelchair. Please take into consideration that during your Day With A Local you will need additional money for you and your group, in order to pay for public transportation, admission fees, food, drinks, and any other personal purchases you may make. The Local’s basic expenses (public transportation, food and drinks) are included in the service. In case of any special requests, you will also have to bear the expenses of your Local. Alternatively, you may also only request programs where the Local’s costs are already included. We highly recommend having a travel insurance, as in the unlikely event of an accident, the costs of health care can be substantial. You can make an inquiry by using our online Experience basket, or by contacting us via email. For inquiries made in English, we promise you an answer within 24 hours from the moment when we receive your message. If you don’t find a message from us in your Inbox, we would kindly ask you to check your email account’s spam folder. Please note that only bookings made with a real name, phone number and email address are valid. Bookings without a real first and last name, real phone number and/or a real email address, will not be accepted under any circumstances. The Day With A Local team reserves the right not to arrive at the requested meeting point, whenever the information given is not correct and/or the customer cannot be reached by phone or via email before the meeting time. You can pay online in the Holvi online store which accepts credit cards (Visa or MasterCard), or through PayPal. Please note that there is a discount when paying in advance. An invoice option is available for enterprises only, and a handling fee is added to the price. Special arrangements will be charged separately. Rescheduling and cancellations are accepted until 14 days prior to your Day With A Local. In such case only the booking fee, 5 % of the initial purchase price, or a minimum of 5 €, is charged. Between 14 to 7 days prior to your Day With A Local, 50 % of the price is charged. Between 7 days and 48 hours prior to your Day With A Local, 75 % of the price is charged. If the cancellation is made less than 48 hours before your Day With A Local, the price will be charged in full. The cities we operate in are located on the coast of the Baltic Sea, and the weather can change rapidly. Most of our services are offered outdoors and therefore light or modest rain is not a valid reason for cancellations. There are a lot of things to see and do in these cities, even on a cloudy or rainy day! If you wish, you can ask for mainly indoor activities in case of a rainy day. In the unlikely event that we need to cancel your Day With A Local, if rescheduling is not possible, we will refund you the price of your booking in full. Your Local will wait for you for 15 minutes without prior notice, or until the informed time with notice. The length of your Day With A Local is still calculated from the original agreed meeting time. Please be on time to your meeting with your Local, in order to make the most of your day! Should your flight or cruise be delayed, your Local will be waiting for you at the agreed meeting point. We use, store and process information, including personal information, to provide, improve, and develop Day With A Local services. Customer data is stored mainly in the following (see full list below): Acuity Scheduling’s booking system, on Dropbox, Seravo servers and email provided by Google G Suite (Gmail) which all have their own data protection policies. Customer data is handled by Day With A Local Ltd team members. Necessary information related to the booking (such as customer’s name, phone number, group size, meeting point, requests and any additional information that the guest wants to offer) will be handed over to the Locals via Dropbox, and only if necessary (and only from necessary parts), to cooperation partners (such as private transportation companies) by email or phone. Personal information (usually email address and if necessary, phone number) is used to inform the customer about the upcoming booking, possible special offers and matters related to the booking. A booking confirmation and reminder will be sent to the email address submitted by the person who made the booking. Personal data will not be disclosed to third parties without the customer’s consent, apart from mentioned cooperation partners handling data, abovementioned circumstances or unless the law requires otherwise. Customer data is utilized for the purposes of taking care of the upcoming booking, follow-up, marketing, marketing research and service development by Day With A Local Ltd. When using the website, sending an inquiry and/or booking a service from Day With A Local, the customer gives an approval for Day With A Local’s method of handling personal data. The customer can unsubscribe from the email list at any time. Should the customer wish to inspect, revise or remove data, a written notification must be submitted to Day With A Local Ltd, PL 182, 00101 Helsinki, Finland. Our partners in processing customer data: Acuity Scheduling (name, email, date and time of the booking), Dropbox (name and details of the booking), Holvi online store (payment details, purchase history, name, email, phone, address), PayPal (payment details, name, email), MailChimp (email address and name only), TripAdvisor (email address only), Google G Suite (information provided by you), Google Analytics (information of your visit on our website), Seravo (website contents including forms sent by you). If you use Facebook, Instagram, Twitter, WhatsApp or equivalent to contact us and to give personal information, you do it at your own risk. Data protection: NDAs for team members, password protection for software, no printed material other than a sign with the customer’s name (when meeting in port or at the airport). If you want changes to your program during your Day With A Local, we will do our best to arrange a pleasant day for you and your group. Please inform your Local immediately, if the service doesn’t meet your expectations. If you want to contact the entrepreneur, please send a request via email at hello (a) daywithalocal.com, and she will contact you as soon as possible!